The first “BENEFIT Fintech Hackathon for Sustainability” in the MENA Region hosted by Bahrain Fintech Bay in partnership with The Manama Hub of the Global Shapers Community officially kicked off with 50 participants. Strategic Partners include the Central Bank of Bahrain (CBB) and Tamkeen Bahrain. Knowledge partners of the 4-week hackathon will be conducting workshops, providing mentors, and internship opportunities. Partners include the United Nations Bahrain, Al Waha, EY MENA, Amazon Web Services (AWS), Global Islamic and Sustainable Fintech Center, and Bank ABC. The month long event will continue till Mid April with a targeted weekly program focusing on educational workshops, mentorship and team building sessions. The best innovative ideas will be judged by top industry professionals within the Fintech scene in Bahrain, and get exposure for their solutions. The hackathon kicked off with its first program – an introductory session on “Understanding of SDGs and the role tech can play in having a positive impact” while obtaining the participant’s perspective on Bahrain’s priorities. The second half of the day introduced event sponsor roles, and mentors to support participants in delegating team roles and responsibilities to gear up for the next few weeks until the final pitches. Knowledge partners and industry experts from Ernst & Young MENA (EY), and the United Nations Bahrain provided mentorship and workshops for participants. Design workshop Facilitators from the EY MENA Digital Financial Services team; Tariq Mattar and Bridget Ngcobo hosted a design thinking workshop, and worked with students to explore Fintech ideas to build solutions that have a positive impact on global sustainable development goals. HE Mr. Amin El Sharkawi, UN Resident Coordinator, gave a personal session entitled ‘The Sustainable Development Goals: Why Now?’ highlighting the United Nation’s Sustainable Development Goals (SDGs), the financial technology “fintech” industry trends, and the opportunities for connecting the industry to sustainability in the context of Bahrain. Amazon Web Services (AWS) will provide “Training for startups” in the third week of the hackathon and give students the opportunity to spend valuable time with AWS experts, and learn what it takes to build a successful startup using AWS Solutions and Programs. 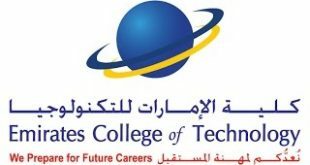 Supporting partners also include Al Waha which will link students to potential VCs within Al Waha network. Additionally, the students will be given access to a pool of mentors and industry experts throughout the event to aid them in creating sustainable, and scalable solutions. The goal of the BENEFIT Fintech for Sustainability Hackathon is to create awareness on how to leverage financial technologies to accelerate progress on the SDGs. In addition, the hackathon will promote Bahrain’s ecosystem within the fintech industry by giving students the exposure and opportunities within the financial industry. The platform will encourage students to find opportunities within the fintech industry in Bahrain and beyond. Prizes include cash prizes, internship opportunities for students which could lead to working opportunities as well as a trip to Dubai.